Default customer account and Amazon marketplace must match currency. If you choose to use a default FBA customer account, then you need to make sure that the currency matches the marketplace. Under SellerZen's integration page, you can find this option under the "Sales" tab. 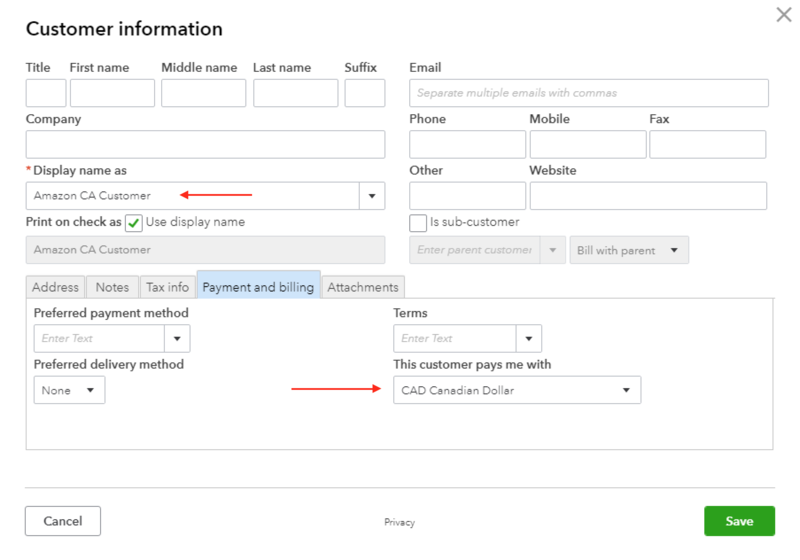 When creating the QuickBooks Online default customer account, make sure that the currency associated with the customer matches the currency used on the marketplace. If you aren't able to select a different currency, then you'll have to enable multicurrency support in QuickBooks Online before you can select it.